Wolf Commercial Real Estate, a premier Southern New Jersey commercial real estate broker that specializes in South Jersey commercial real estate listings and services, is now offering prime South Jersey medical space for lease in the Station Office Building at 900 Haddon Avenue Collingswood NJ. There are multiple suites available in this medical space in South Jersey, ranging in size from 302 square feet of Collingswood medical space for lease to 16,758 square feet of Southern New Jersey medical space for lease. The asking price for this medical space in Collingswood in the Station Office Building at 900 Haddon Avenue Collingswood NJ is $15.00/sf Full Service. This Southern New Jersey medical space for lease is being offered for immediate occupancy through Wolf Commercial Real Estate, a Southern New Jersey commercial real estate brokerage firm that specializes in South Jersey commercial real estate listings and services. The medical space in South Jersey in the Station Office Building is a full-service South Jersey medical building that is perfect for any professional medical use. 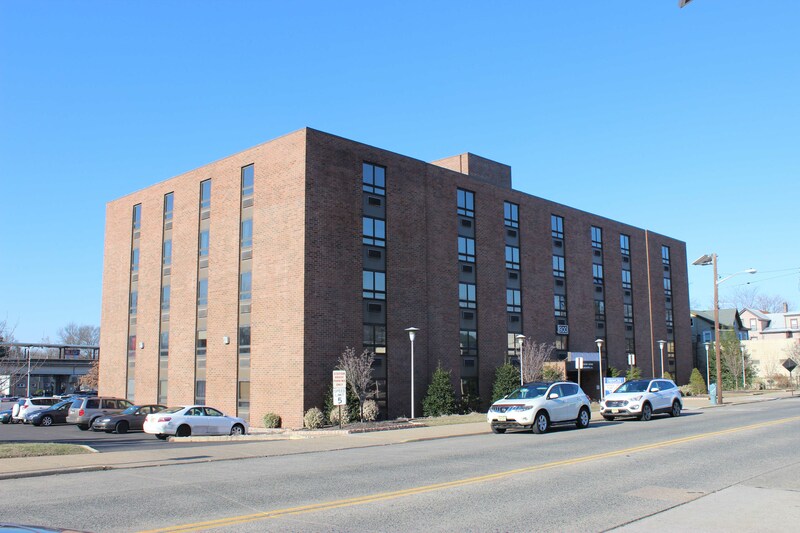 There is a newly renovated lobby and common area at this South Jersey medical office building for lease, and tenants in this medical space in Collingswood enjoy an accessible on-site maintenance and management staff. This South Jersey medical space for lease at 900 Haddon Avenue Collingswood NJ is ideally located in the middle of the bustling Collingswood Business District. Among the many amenities near this medical space in Collingswood are banks, restaurants and retailers along Haddon Avenue. The Collingswood PATCO High Speed Line station is immediately accessible to this Collingswood medical space for lease through Wolf Commercial Real Estate, a Southern New Jersey commercial real estate broker that specializes in South Jersey commercial real estate listings and services. This South Jersey medical office building for lease at 900 Haddon Avenue Collingswood NJ also provides easy access to Route 130, 70 and 38, while Philadelphia is less than 10 minutes away from this Southern New Jersey medical space for lease. Parking is plentiful in the three lots at this medical space in South Jersey. A lobby directory and tenant suite signage are available at this Collingswood medical space for lease through Wolf Commercial Real Estate, a Southern New Jersey commercial real estate brokerage firm that specializes in South Jersey commercial real estate listings and services. There are more than 344,000 people living within a five-mile radius of this South Jersey medical office building for lease. The average household income within five miles of this Collingswood office space for lease is $71,793. For more information about this South Jersey medical space for lease in the Station Office Building at 900 Haddon Avenue Collingswood NJ or about any other South Jersey commercial properties for sale or lease, please contact Christina Del Duca (856-857-6304; christina.delduca@wolfcre.com) or Christopher Henderson (856-857-6337; chris.henderson@wolfcre.com) at Wolf Commercial Real Estate, Southern New Jersey commercial real estate broker that specializes in South Jersey commercial real estate listings and services. Wolf Commercial Real Estate is a premier Southern New Jersey commercial real estate brokerage firm that provides a full range of South Jersey commercial real estate listings and services, marketing commercial offices, medical properties, industrial properties, land properties, retail buildings and other South Jersey commercial properties for buyers, tenants, investors and sellers. Please visit our websites for a full listing of South Jersey commercial properties for lease or sale through our Southern New Jersey commercial real estate brokerage firm.